I had so much fun in my stamping studio this morning! I just got done purging and organizing my room, and it was so nice to craft in a clean space. My creative gears were really turning which is just what I needed for my entry to this week's Global Design Project challenge. 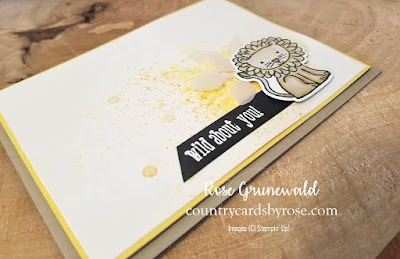 My inspiration for this card is a design from the super talented Steffi Helmschrott. I just love how clean and bright her cards are! 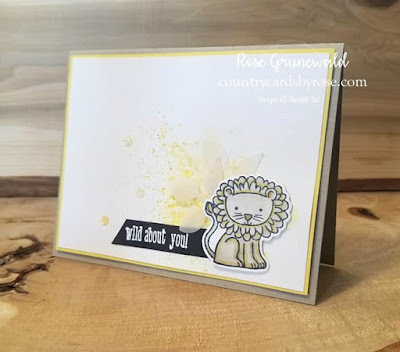 You can see the card I CASE'd for this challenge below, and if you click on it, you can learn more about the Global Design Project challenge for this week. 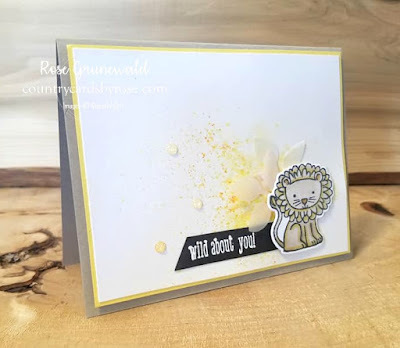 Just like Steffi's card, I used a Crumb Cake card base with clean, bright white as my palette for my card front, and I incorporated a subtle, bright splash of color with the yellow Brusho Crystal Color. 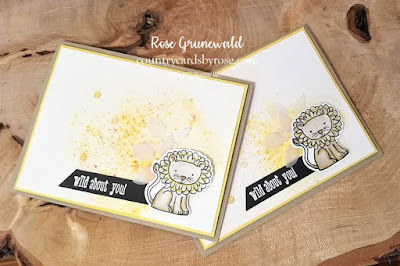 I also used a white embossed sentiment on a basic black label. I cut the end off on an edge similar to the inspiration card. That black is really sharp against the crisp, clean white and bright yellow, don't you think? I hope that you enjoyed my take on Steffi's card, and I hope that my card inspires you too!